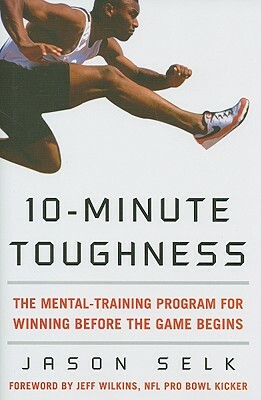 "10-Minute Toughness is a solid mental training program. In fact I feel it is the best of its kind. . . . It's] what the title says: ten minutes a day that connects your talents and abilities to the outcome you're seeking. As a retired NFL player looking forward, I can see as many applications for the toughness Jason Selk's program brought out of me in the business world as there were on the football field." "The mental side of the game is extremely important. 10-Minute Toughness helps the players develop the mental toughness needed for success; it really makes a difference." "Jason Selk has spent a tremendous amount of time and energy developing effective mental-training programs and coaches workshops. He is truly committed to helping individuals and teams to perform at their very best, when it really counts."